Stages Power for downhillers looking to add power to their existing Shimano Saint crank. The Stages Power meter is pre-assembled on a Saint left crankarm and fits all Saint cranksets. The Stages Power Shimano Saint M829/825 is the power meter option for all downhill riders who are looking to add power to their existing crank. The Stages Power is pre-assembled on a Saint left crankarm. It replaces the existing left crankarm which makes installation pretty simple. Due to the left crankarm interface there is no interference with the drivetrain components. 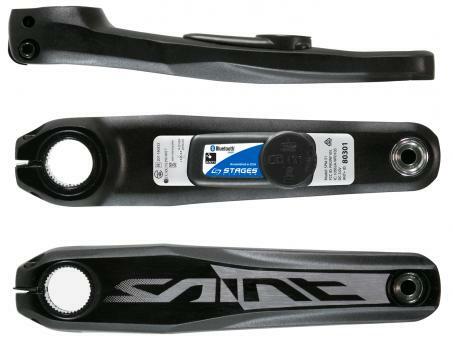 Riders only need to select length as the Stages Power Shimano Saint fits all Saint cranksets. Via ANT+ and Bluetooth Smart technologies the Stages Power is compatible with all ANT+ cycling computers as well as with the latest smartphone models.